Aubrey Purdy Rude was born and raised in rural Illinois. She earned a Bachelor’s degree in Spanish with an Art minor from Augustana College (2003). 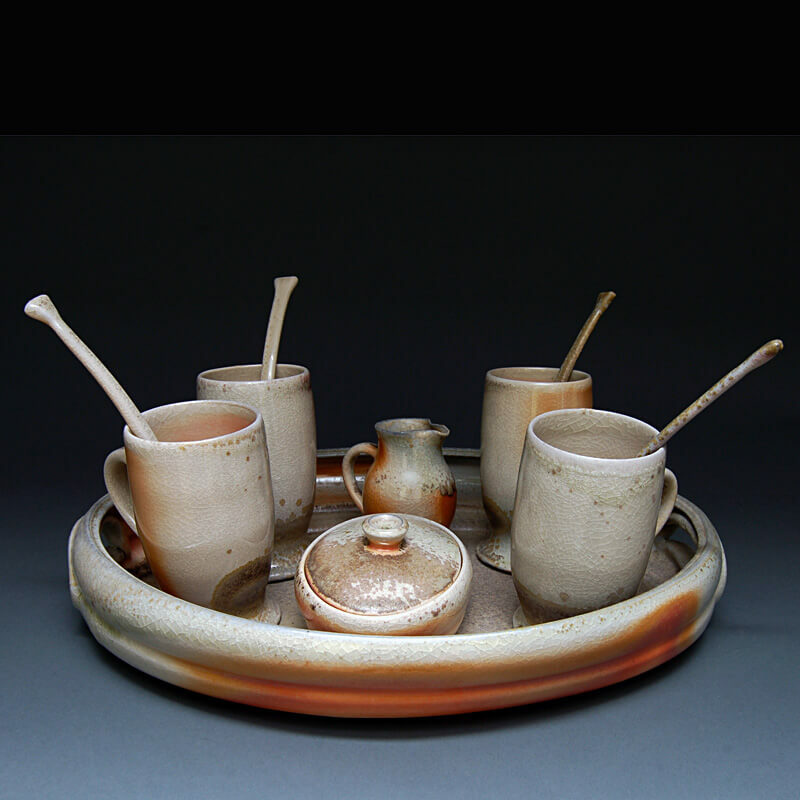 In 2005, she completed post-baccalaureate studies in Ceramics at Northern Illinois University and then served as apprentice to Louisville, KY studio potter Suzy Hatcher (2006). Aubrey is also a graduate of East-West School of Integrative Healing Arts (2009) and is a licensed massage therapist. Since 2014 her studio has been based in Spokane, WA, where she lives and works with her husband Mat and their four-legged family. Much of my artwork is focused on functional pottery in simple, elegant shapes, which leave room for more spontaneous and complex surfaces. Most recently, however, I have begun a series of work seeking to investigate the concepts of memory and nostalgia using familiar yet faded symbols such as dilapidated barns, classic cars and antique toys. They are all metaphors for the disintegration of memory over time. I am particularly interested in the ways in which our memories re-construct events and experiences oftentimes morphing into an image or thought process that is not at all true to the original moment. With this work, I am attempting to convey this in both the imagery and the forms themselves. Such as it is when recollecting a beloved person, place, or time in one’s own life, we may be able to touch on a particular detail with vivid clarity while the rest of the scene remains vague and distant; like a dream, leaving one with a sense of longing.